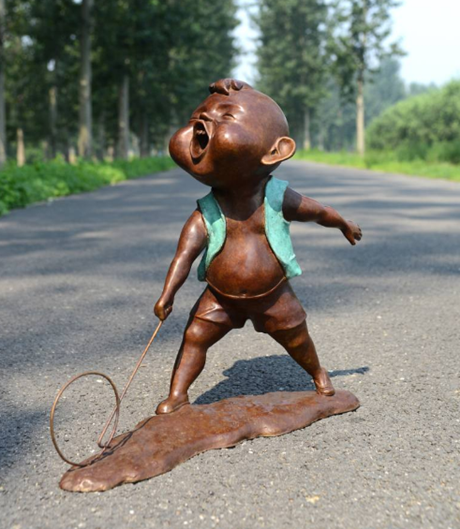 Lucy Han is a Chinese sculptor, living and working in Beijing. This bronze sculpture is titled “Rolling A Hoop”. You can view more of Lucy’s work through Saatchi Art.